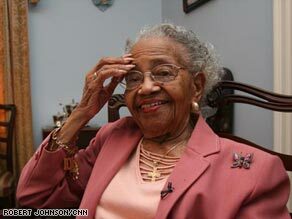 Ms. Ann Nixon Cooper, a 106-year old Black woman casting her very first vote for a Black President. How awesome is that!!! I'm SO happy to put a face to the name. 106? melanin does not nearly get the credit it deserves.